The Joint Admissions and Matriculation Board says not less than 1 . 8 million candidates would be registered for its 2019 UTME by the end of the registration exercise scheduled for Feb . 21. The Board ’ s Head, Media and Information , Dr Fabian Benjamin , disclosed this in an interview with the newsmen in Lagos . Benjamin expressed satisfaction at the ongoing registration exercise nationwide , adding that so far , it had been smooth with little or no hitches . 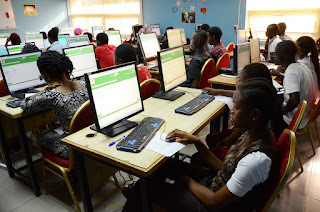 It was gathered that the registration of candidates for this year’ s all Computer Based Test ( CBT) Unified Tertiary Matriculation Examination (UTME ) , commenced on Feb . 10. Meanwhile an official bulletin of the board tagged ‘ jambulletin’ issued on Sunday said over 1 . 6 million candidates had registered for the examination between Feb . 10 and Feb . 15 , nationwide , with Lagos recording the highest , with 234 , 259 candidates. Also contained in the bulletin is the restatement of the unlikely extension of the registration deadline by the board . “ Candidates would commence the reprinting of their examination notification slips two weeks to the examination date . “ On the examination slip are candidates ’ schedule for the examination, date , time and centre , as well as other necessary information about the examination. “ Two weeks to the commencement of the examination, candidates will have their slips placed on their profiles . “ However , in the event where candidates could not access their slip , such candidates can visit the board ’ s service portal , on www. jamb. org . ng to print the slip , ” the bulletin stated . It also said that messages would as well be sent to candidates , informing them on when to reprint their e - slip . According to the bulletin, the processes are all automated to keep candidates abreast of developments , just as messages will be sent to all candidates informing them on when to print their e - slip . It re- assured candidates that the board was working round the clock to guarantee their full participation during the examination.